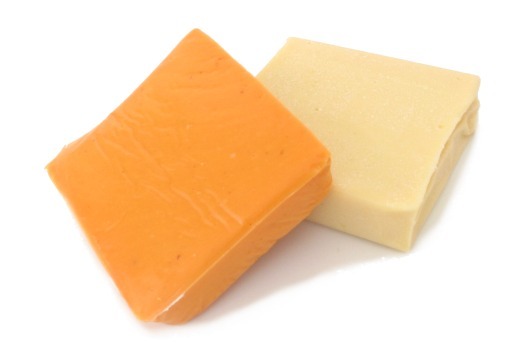 cheese substitutes = cheese alternatives = artificial cheese = cheeze = cheese analogues = cheese analogs = fake cheese = phony cheese = nondairy cheese Notes: Many vegetarians eat cheeses made with milk, though many insist on vegetarian cheeses made without animal rennet. Cheese substitutes, on the other hand, are designed either for people who, because of moral scruples or dietary restrictions, don't wish to consume anything made with milk, or for cost-cutters who want to scrimp on real cheese. There are many brands of cheese substitutes on the market today, and most are made with soybeans, rice, almonds and/or hemp seed. Most are made to taste something like popular milk-based cheeses like Cheddar, Mozzarella, Gouda, American, Provolone, and Jack. Cheese substitutes are blander and more rubbery than real cheeses, but many brands melt fairly well in cooked dishes, especially if grated first. Fake mozzarella comes closest in flavor and texture to the real deal. Fake cheese often contains casein or caseinates, which are derived from milk. These kinds of cheeses won't pass muster with many vegans, but they're a good choice for people trying to restrict their consumption of cholesterol and lactose. Strict vegans should seek out cheeses labeled "vegan" or "dairy-free." Unfortunately, casein is what makes cheese (real and fake alike) more elastic, so non-dairy cheeses won't pull and stretch properly when melted. To make your own: Try the Melty Cheese recipe posted on www.vegweb.com, or the Mock Cheese Sauce recipe posted on pastrywiz.com.